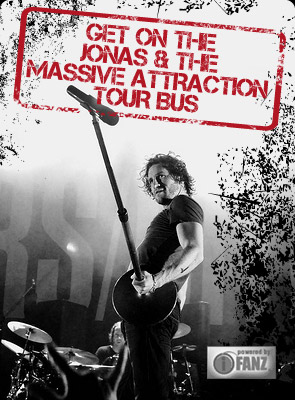 Jonas & The Massive Attraction is no stranger to the Bell Centre, having recorded their DVD – Live At The Bell Centre – there during a headline performance to over 7000 fans in 2007. The band also performed at the arena as part of their North American tour with Van Halen. “The boys and I can’t wait to heat up the stage in our hometown for a man who has been at the forefront of rock and roll mayhem for the last decade. Kid Rock is a showman who I’ve been watching, almost studying, for years, and he knows how to tear up an arena like few can. Montreal better call in late for work the next day because this one is gonna hurt!” says Jonas.